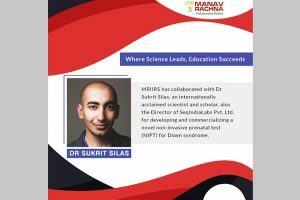 Students of Manav Rachna International Institute of Research and Studies (MRIIRS) participated in a Debate competition entitled “Biotechnology: Is it a Bane or Boon for Healthcare” that was conducted by THSTI (Translational Health Science & Technology Institute) under Science Setu Programme for students of Biotechnology. This activity was performed under the umbrella of MoU signed between MRIIRS and THSTI for promotion of R&D activities. 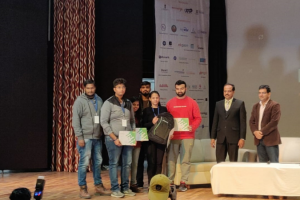 The winning team comprising Hardik Grover (FET/BBT/1/029), Tarini Vohra (FET/BBT/1/007) of B.Tech 4th Sem), Akansha Kanaujia (FET/MSB/005), and Prachie Sardana (FET/MSB/009) M.Sc 2nd Semester got an opportunity to get training in Shadow A Scientist (SAS) program at THSTI (Translational Health Science & Technology Institute), Faridabad. The ‘Shadow A Scientist’ programme gave students an opportunity to learn new hands-on skills. This program gave students a new interest in Recombinant DNA (rDNA) Technology. This was a step forward for the students in the wide arena of Biotechnology. 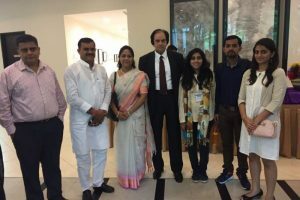 The whole programme was critically focussed on providing a pragmatic expertise in the techniques of Recombinant DNA technology and the students were privileged to have a lively interaction with the honourable scientist during his lectures. Through this programme, students came to know about the basic techniques that are crucial for modifying DNA for a better use. The 8-day training was a package of learning and temperament testing for an individual who aspires for a future in research. The students learned techniques like plasmid isolation, PCR, restriction digestion, transformation, protein production and isolation using modified cells that is the foundation of rDNA technology. 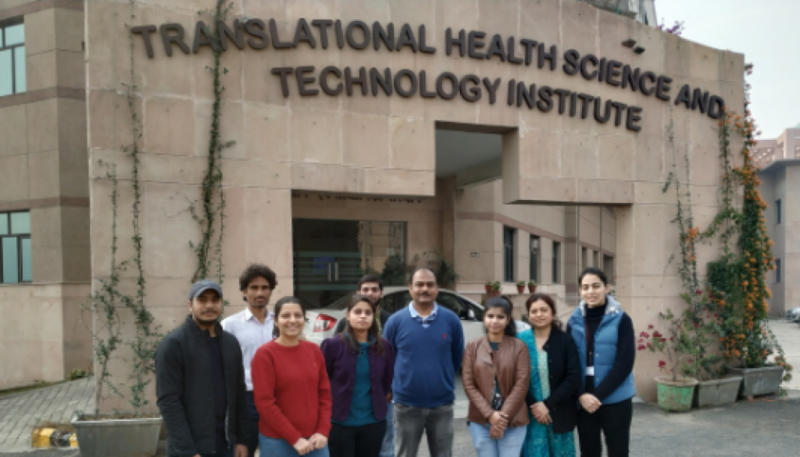 The lectures delivered by the scientist Dr. Amit Pandey were a great experience for the students as the scientist discussed his anecdotes while researching on Mycobacterium tuberculosis.